Dr. Gabriella Rothman is a psychologist in Providence, RI specializing in CBT and ACT for anxiety, weight management, and college adjustment. She sees adults and residents as well as undergraduate, graduate, and medical students. She runs weight loss groups and peer groups. 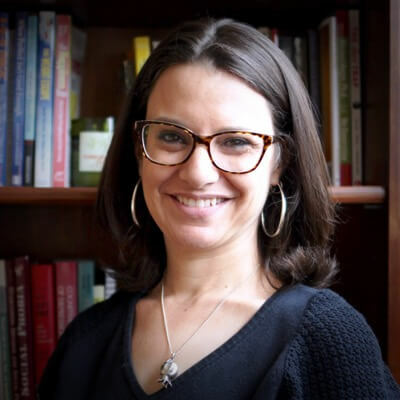 Dr. Rothman received her PhD in Clinical Psychology from Rutgers University and completed her predoctoral and postdoctoral training in Behavioral Medicine at the Warren Alpert Medical School of Brown University. She has clinical expertise in weight management, stress management, and the treatment of anxiety, mood, and adjustment disorders. She also specializes in supporting medical students and graduate students through academic pressure. Dr. Rothman runs group therapy sessions such as a weight loss program that has helped participants achieve long-term success, and a book group series in which group members discuss a new well-received psychology book to integrate the book’s lessons, deepen their understanding, and meet self-growth goals. "For those who are coming to therapy for the first time, have had a great experience with another therapist and can't imagine starting over, or have had an unsatisfying experience before: coming here is the bravest thing you can do, and I commend you for that. It's hard to start with a new person in any kind of relationship, but it's the first and probably the best step you can take for self care. It will help you through college, graduate school, and life to understand and be mindful of what your needs are and to take care of yourself. It's a risk to be vulnerable with a person you don't know, but it's one that everyone could benefit from, and one that I hope will pay off."